Love treating your skin to some seriously good pampering? 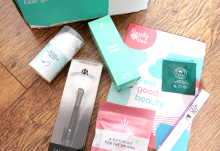 Mask Time is a subscription box service that specialises in Korean sheet masks, one of the biggest and most popular beauty trends around. They currently have two different boxes that you can subscribe to; the small Glow Starter (4 masks) and the bigger Glow Setter (8-10 masks). 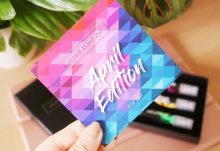 I have the latest Glow Setter box from Mask Time to share with you all today which is themed on roses and loving your skin. They have also had a packaging re-design with their boxes so that they look even more beautiful than before! 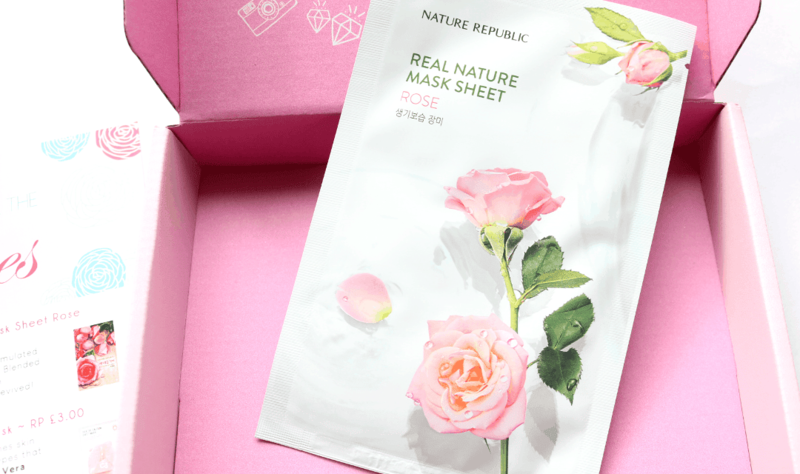 Blended with Glycerin, Sodium Hyaluronate and Rose extracts, this mask from Nature Republic leaves the skin feeling silky smooth, softer and thoroughly revived and hydrated. A must-try for all skin types! 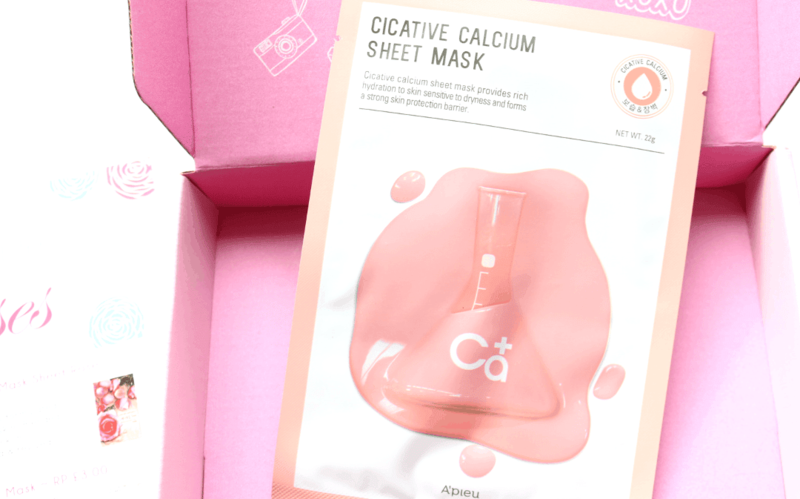 Did you know that Calcium helps to deliver moisture to thirsty skin and also soothes any sensitivities? 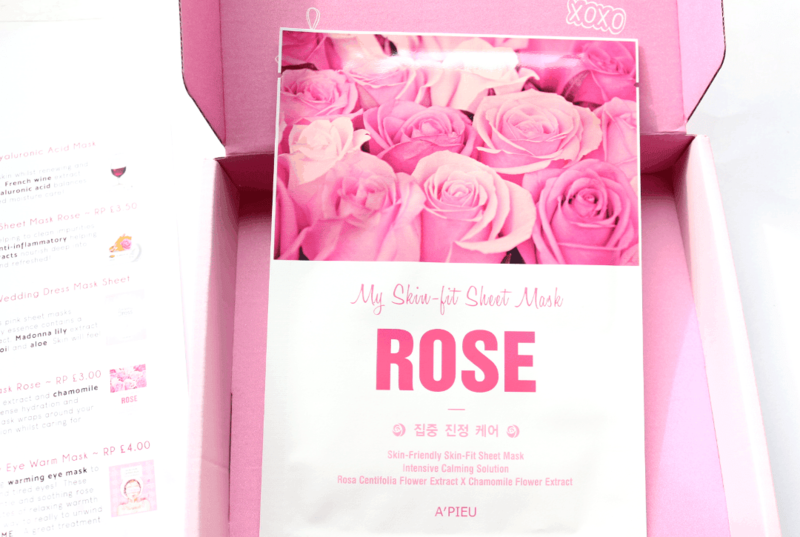 This mask from the popular Korean brand A’Pieu is perfect for sensitive skin types and contains Aloe Vera and Mineral Water to soothe, heal and calm down any redness or irritation. This next mask is made with all fresh natural ingredients such as Ginger extracts and Liquorice Root which both help to revitalise and calm stressed-out skin, leaving it happier and glowing afterwards. It’s a good one to try if you have any problems with dark spots too, thanks to the natural antioxidants used. For something different, there’s a Lip Mask included from the brand The Saem. This hydrogel based lip mask contains Vitamin C, Damask Rosewater and Rose Oil to moisturise and plump your lips, making them smoother and more kissable! 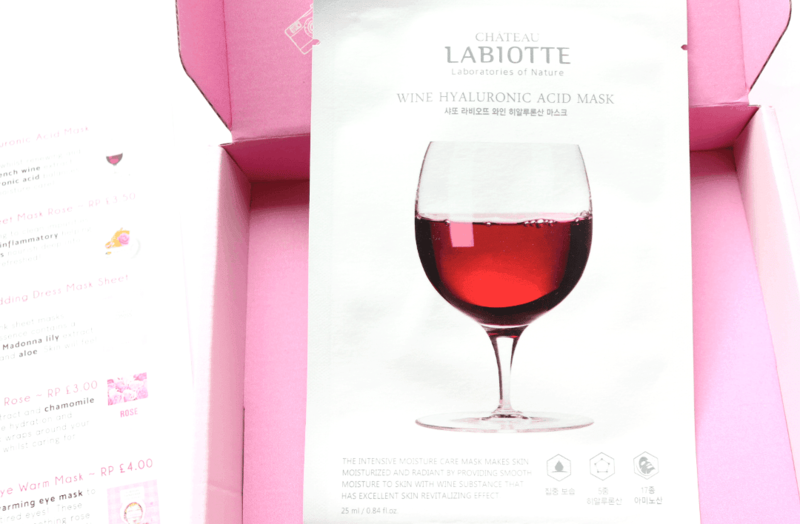 Next up, I found an interesting mask that features French Wine extract in the formula which helps to smooth and revitalise the skin, whilst Hyaluronic Acid has been included to provide essential moisture and keep the skin hydrated for longer. 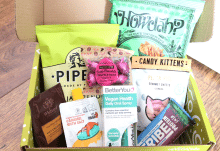 The perfect treat for dry skin types. 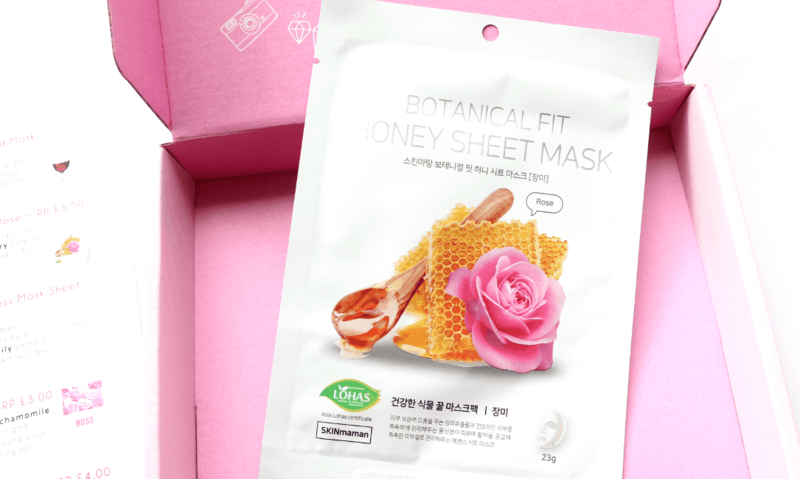 With Rose and Honey extracts, this mask from NOHJ is brilliant for clearing up impurities and reducing irritation for troublesome, sensitive skin types. Also works well to deeply moisturise the skin and leave it feeling awake and refreshed. 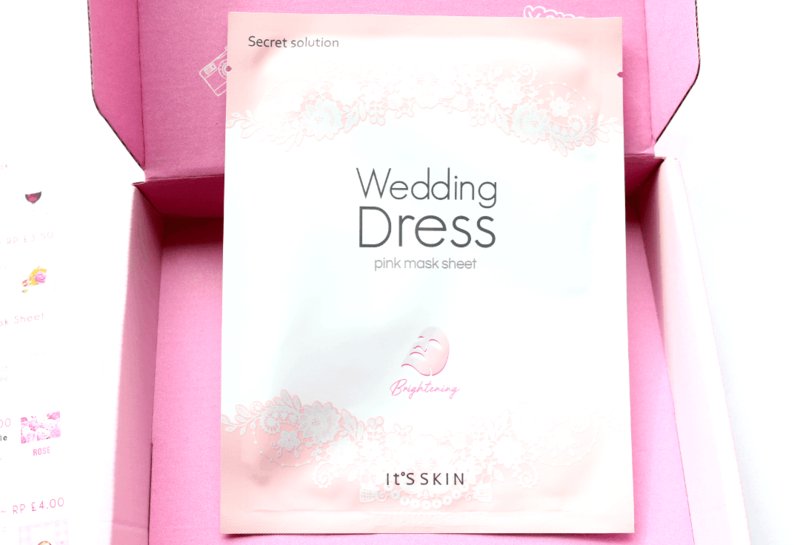 This pink coloured sheet mask instantly brightens up dull and tired skin so that your skin looks as beautiful as a bride’s! The essence contains a powerful blend of Cabbage Rose extract, Madona Lily extract, Jasmine and Rice extracts, as well as Argan Oil and Aloe for beautiful baby soft skin. 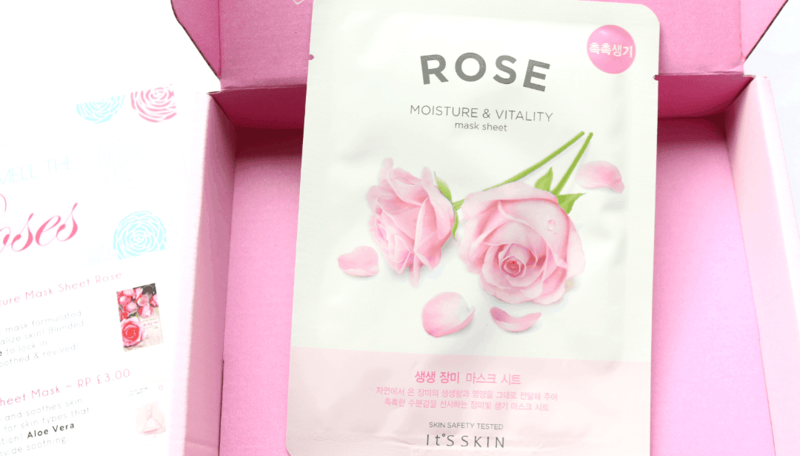 Formulated with 6,000ppm of Rose Flower extract, this sheet mask provides intense hydration and with Chamomile extract also added, it is full of beneficial soothing and calming properties as well. Perfect for sensitive skin types with a second skin style fit. The last product is a super relaxing warming eye mask from The Saem which is the perfect remedy for tired eyes! 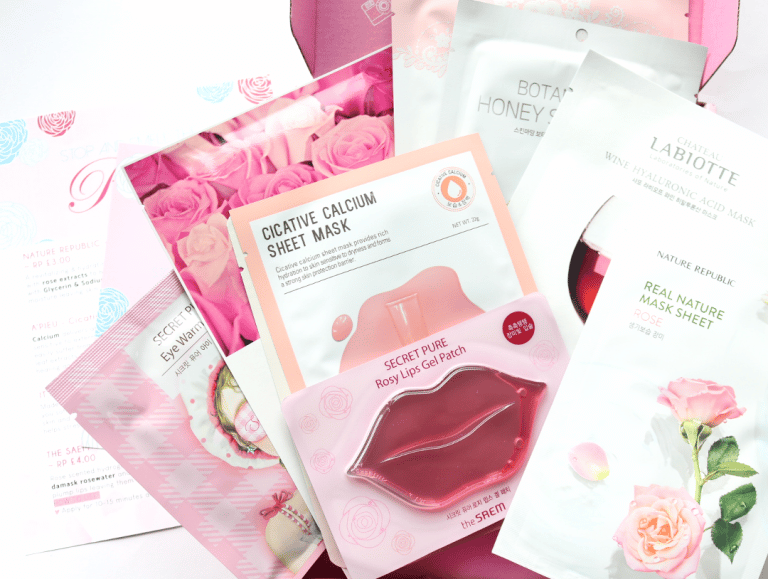 A beautiful selection of mostly rose-themed masks, perfect for dry and sensitive skin types!